Migration, cybersecurity, China and trade, Syria and the state of the State Department. The World Affairs Council of Western Michigan once again tackles important global issues in its annual Great Decisions series, scheduled for February and March of 2019. The series features national and international experts, including former U.S. Ambassadors, top global business experts, a special agent from the FBI, and an award-winning journalist arriving directly from Beirut. These speakers will use their diverse expertise to lead conversations in our community. The eight topics are chosen by the Foreign Policy Association (FPA) in New York as the global issues about which all American communities should be more knowledgeable and engage in thoughtful conversation. This year, the series will offer two options to hear these respected speakers live: Monday evenings at 6:00 p.m. in the Aquinas College Performing Arts Center and Tuesday at noon at Calvin College in the Recital Hall of the Covenant Fine Arts Center. Each of the eight presentations scheduled for 2019 also features a question-answer session. The State Department has faced significant challenges recently, with senior positions left vacant and the manner of diplomatic engagements taking on a different tone. As president of the American Foreign Service Association and with 33 years of experience as a Foreign Service officer, Ambassador Stephenson is superbly qualified to assess the current State Department and explain why strong American global leadership depends on a strong U.S. Foreign Service. Illiberalism across the globe is on the rise. Perhaps most alarming is its rise in Europe, especially considering the weight of its 20th century history. Eastern European countries in particular are exhibiting a turn towards fascism both on the social level and that of the party politic. The turn towards global illiberalism may seem like a sudden shift, but to understand its origins (and its future), it is best to examine its prominence in Eastern European nations. A journalist whose work has been featured in­­­­­­­­­­­ The Atlantic, The Nation, The Intercept and other news sources, Carol Schaeffer will discuss this growing trend. After serving as U.S. Ambassador to Honduras, Ambassador Nealon served as Assistant Secretary for International Affairs in the Department of Homeland Security. He will address the root causes of migration from Central America, which has drawn attention by the media as Central American asylum seekers have traveled to the U.S. Mexico border. Ambassador Nealon will give us the greater context for migration and suggest a foreign policy that can address migration in the future. Amy Celico has decades of knowledge on China, serving in both the U.S. Department of Commerce and State Department before joining ASG. She now leads the firm’s China team in Washington, D.C. In her presentation, she’ll address the rapidly evolving and still uncertain path ahead for the U.S.—and for global businesses—working with China. 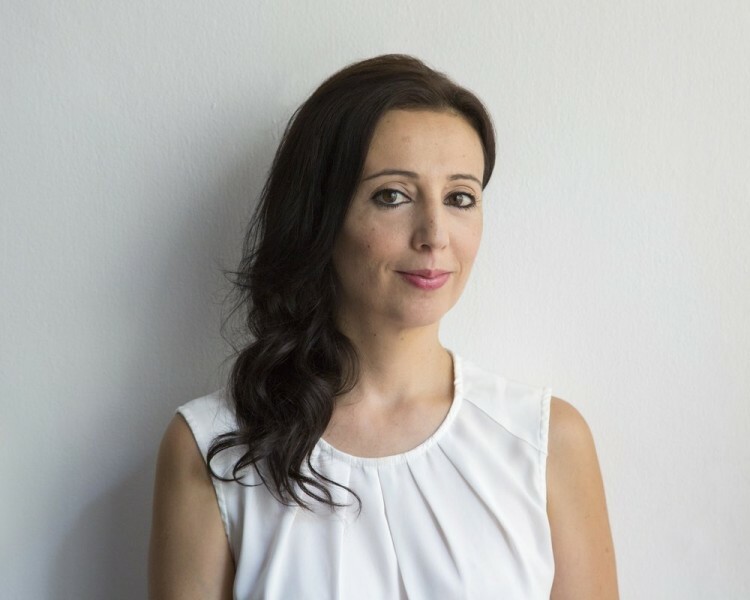 Her first book, No Turning Back, recently listed by The New York Times as a Notable Book of 2018 and by the Financial Times as one of the Best Books of 2018, explains the tragedy of Syria’s war through the “dramatic stories of four young people seeking safety and freedom.” Listen as Abouzeid shares her ground-level take on a region roiled by the aftermath of the Arab uprisings and the rise and fall—but not disappearance—of the Islamic State group. The U.S. and Mexico have a long, intertwined history, with both countries prominently featured in each other’s politics, economic policies, and history. Yet the relationship has been strained over the years. With new leadership in both countries, what does the future hold for this bilateral relationship? Carlos Capistran is the head of Canada and Mexico economics at Bank of America, and a frequent media commentator on finance and macroeconomics. He’ll reflect on the ways Mexico and the U.S. fit into a larger North American system and how we can develop policies that allow each country to thrive. The cost to attend the discussion is $10 per presentation, and $60 for a series pass. No reservations are needed. World Affairs Council of Western Michigan’s Corporate and Senator members attend free—as do the students, faculty and staff of WACWM member institutions: Aquinas, Calvin, Davenport, Ferris State, Grand Rapids Community College, Grand Valley State, Kendall, Montcalm Community College, and Western Michigan. The Council also broadcasts the series live to educational partners Northern Michigan University (Marquette, MI) and Rhine-Waal University (Germany). WACWM is the local sponsor of Great Decisions, America’s largest discussion program on world affairs. The Council has sponsored the series for more than 60 years. Wolverine Worldwide is an underwriter of the series, and Gerber is the livestream sponsor. Other corporate supporters include AlphaMax Advisors, Bank of America Merrill Lynch, BDO, PriceWalgren, and Steelcase. Throughout the year, the World Affairs Council of Western Michigan offers numerous programs on global issues and international affairs, including a spring “community conversation” with the Kent District Library. A global executive briefings series is aimed at business leaders and an annual anniversary event brings in a world leader or global headliner.